If there's anything we can do to assist you, feel free to shoot us an email or give a ring at 414-939-3770. Rabbi Chezky and Dobie Thaler. 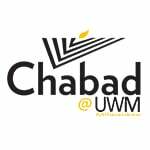 Oh, and don't forget to like our Chabad at UWM facebook page, so you can stay up to date with the many happenings at Chabad.